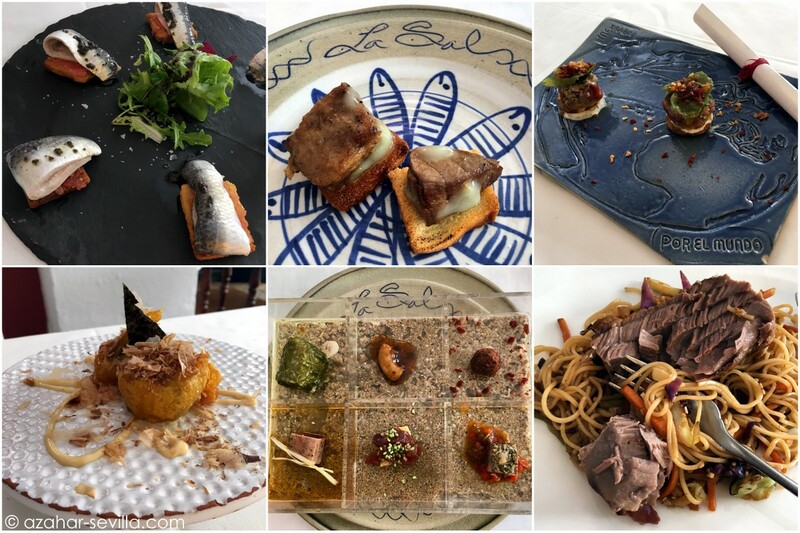 A rather unusual event this week, being a combined cata by Bodegas Izadi, and a photography class given by Vicugofoto, which took place at the Restaurante Maria Trifulca, at the Triana end of the Isabella II bridge. The building is an obvious landmark, with a history interesting enough to be worth a short digression. It was originally built in the early 1920s as the offices and boarding point for the steam river boats to Sanlúcar de Barrameda at the mouth of the river, but after some 50 years of operation it could no longer compete with cars, buses and trains. In the 80s it was converted into use as a restaurant (El Faro), and a few years ago passed into new hands as the Maria Trifulca. The name comes from the river beach near Heliopolis which was hugely popular during the 20s and 30s, until an explosion in the nearby gunpowder factory resulted in a great tragedy and the beach was closed down. The photo class was quite basic, more a demonstration of various tools for lighting and other technical aids than about technique and framing. There were ten of us participating and we each took turns trying to get the “money shot” of the various dishes that were brought to us. 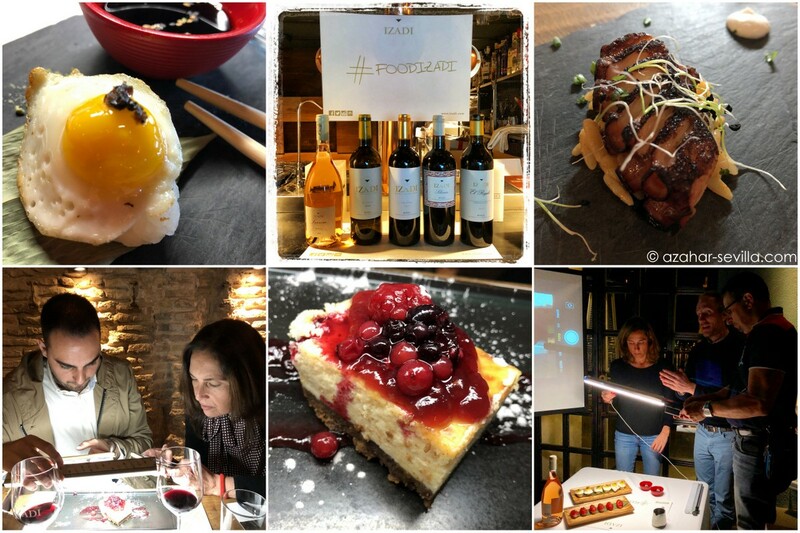 This was followed by the wine tasting organized by Bodegas Izadi, a relatively small Rioja winery founded in 1987, with food pairings prepared by the restaurant. We started with Larrosa, a very nice fresh rosada which was probably my favourite, paired with two types of nigiri. Next up was Blanco FB, a fruity white that nicely paired with salmon tartare. Then onto the Reds. A 2015 Criaza with char-grilled octopus (probably the best food of the evening), followed by Selección with the main course of grilled presa Ibérica, and finally El Regalo, another red, with the cheesecake dessert. Thanks to everyone who helped organize the event, and the staff at Maria Trifulca. The wine and conversation flowed and it felt like I’d known Tim forever. And as so often happens we stopped for a post-lunch Penúltima (or three) at La Azotea (aka The Office). Then it was time for me to get home, and so I left Tim with a tapas bar Plan of Action for the evening, feeling happy to have met a new friend and kindred spirit.